With every passing year here in the Chippewa Valley, a growing number of individuals are taking meaningful leadership roles to push our community forward. Some have been at the forefront of new ideas and ambitious endeavors for years. Some are just now coming into their own, inspiring and helping those around them. Together, these self-starters make up the community’s buzz-worthy frontline of innovation, action, and momentum. They are the Chippewa Valley Vanguard. 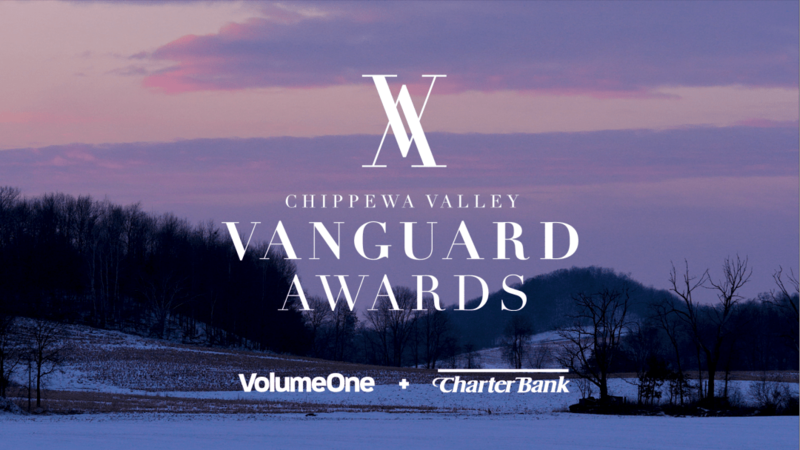 It’s with the encouragement of these kinds of thinkers and doers and an interest in the continued growth of our thriving community in mind that Volume One and Charter Bank created the Chippewa Valley Vanguard Awards. Each year these awards recognize high-level community achievers who’ve made a recent and significant local impact in the arts, entrepreneurship, social action, government, education, philanthropy, health, business, and other areas. These are the people helping shape the future of the Chippewa Valley. To find the individuals truly making a difference, we need your help. Public nominations are open now through Oct. 31 via a simple online form at VolumeOne.org/vanguard. Once submissions are closed, a panel of key community players from diverse backgrounds and industries will evaluate nominations and work together to select the year’s honorees. Their identities will be publicly announced at Volume One’s event celebrating the Best of the Chippewa Valley – dubbed The Best Night – held for the second year at the Lismore Hotel on Saturday, Feb. 9.
to learn more and nominate.